The RTLK2 is a Kinetic™ tool lanyard with a choke loop for tool attachment and an ‘O’ ring for retention of a tool. 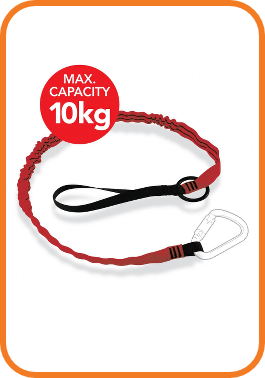 Suitable for tools up to 10kg in weight. 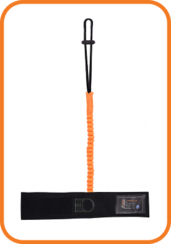 Kinetic™ is designed and developed to reduce the shock involved in the event of a fall. A Kinetic™ tool lanyard significantly reduces the risk of a dropped tool resulting in the user falling off a platform and, because the deployed distance is less than the shock pack tool lanyard.